When tooth pain appears out of nowhere, it is time to definitely visit a dentist. Yet it might happen at the most unfortunate of times! It could be at our most busy time, during the night, on a holiday, you name it. The point is, this pain will not stop for anybody. So if a dentist is not immediately available: what can we do? 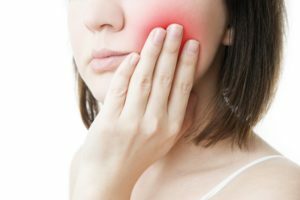 We will be reviewing some of the most common remedies against sudden tooth pain with the help of Los Algodones dentists. We are sure that these will help you make it to your dental appointment without losing your head! This is the most common and simplest solution. After all, everybody has both water and salt in their households. This remedy is simple to do as you only need to mix half a teaspoon of salt with 8 ounce of hot water. This is then used to gargle for about 30 seconds, to then be spit out. Saltwater will be sure to cleanse and remove unwanted food debris that might be irritating the area. It also helps reducing the swelling and can even be used against a sore throat! Another popular one among the remedies that you can find in household are cloves. 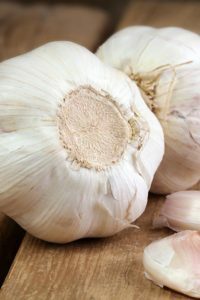 They have really helpful antibacterial and painkilling properties that are natural to them. A good way to use this is through clove oil, where you drop about two drops on a cotton ball and then apply to the affected area. It is important to be careful as it is a strong spice and can even get to burn the gums a bit. If we are talking about the whole clove, then it can be crushed until it becomes a paste. This paste can be applied onto the affected area. You can also add salt to it to make it more effective at pain reduction. Another good one out of the available remedies is the use of a cold compress. The cold from them helps numbing the area, especially if it comes from swelling. You can make a homemade cold compress by wrapping some ice cubes or frozen peas in a kitchen towel. Likewise, this can be accomplished by soaking the towel in cold water for up to three minutes. To apply this, simply put it close to the affected area on your face. A good way to kill bacteria and help relieve the pain is to swish hydrogen peroxide, which is pretty common to have in the bathroom. This method works great when the source of tooth pain is from an infection. We can know this if the pain is accompanied by a bad taste in our mouths as well as a fever. Of course, this won’t cure the pain, but will merely relieve it. As we mentioned before, you only need to swish it in your mouth and then spit it out, then rinse your mouth thoroughly many times with water. There are also a wide range of OCT pain relievers available. Medicines such as acetaminophen and ibuprofen are sure to work on children and adults respectively. Aspirins are also an option, which are to be swallowed. We get questions about putting the aspirin onto the affected area, which does not work at all. You can find all these medications and more in pharmacies in Los Algodones! No Replies to "Tooth Pain: Pain Relieving Remedies"